THE Aam Aadmi Party (AAP) would enter into an alliance with the Congress in Delhi only if it agreed for the same in Haryana in the Lok Sabha polls and backed its demand of full statehood to Delhi, said a senior party leader on Saturday. The talks for an alliance in Delhi were on between the two parties, with the AAP wanting it in Haryana and Chandigarh as well, the leader added. “The talks are on for 18 seats -- Delhi (seven), Haryana (10) and Chandigarh (one). We said it (poll understanding) will be possible only if the Congress agreed to an alliance in Haryana,” he said. The AAP has also conveyed that it could support the Congress in Chandigarh only if the Rahul Gandhi-led party extended support to it in Faridabad, Gurugram and Karnal in Haryana. These two conditions were decided at a meeting of AAP Chief Arvind Kejriwal with senior party leaders Sanjay Singh, Manish Sisodia and Gopal Rai on Saturday, he said. “The Congress should openly declare a support to full Statehood for Delhi, if it wants to have an alliance with the AAP,” the leader said. The talks for Punjab were ruled out by the Congress due to Chief Minister Amarinder Singh’s disagreement over the issue, he said. According to the sources, the Congress President had called a meeting on Saturday to discuss the issue with senior party leaders, including Delhi Congress President and former Chief Minister Sheila Dikshit. 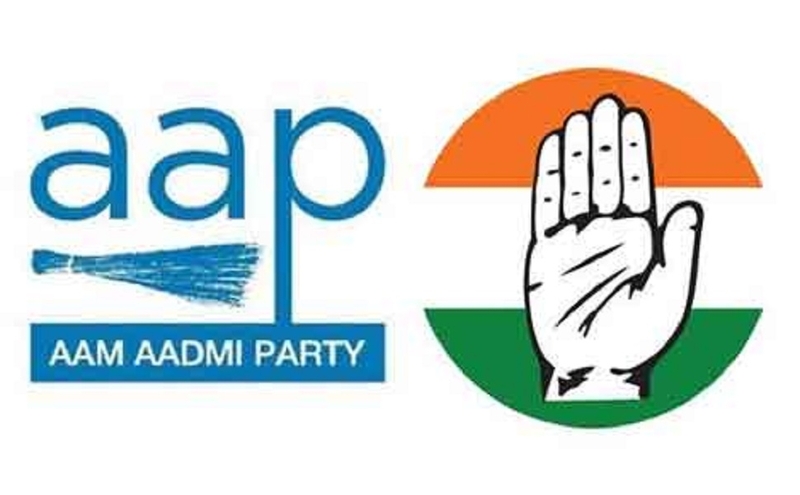 THE Aam Aadmi Party on Saturday declared names of two candidates for Patiala and Ferozepur seats for the upcoming Lok Sabha elections. Nina Mittal has been fielded from the Patiala seat while Harjinder Singh Kaka will contest from the Ferozepur seat, according to a party release. Mittal (47), a graduate from the Punjabi University, is party’s trade wing chief and belongs to Rajpura. She is a social worker. Kaka (48) is a farmer from Talwandi Bhai area and he is also a graduate. The AAP has already announced candidates from eight parliamentary seats. It is yet to announce contestants from Bathinda, Khadoor Sahib and Ludhiana. Punjab has total 13 Lok Sabha seats. The seven-phased Lok Sabha polls will be held from April 11 to May 19. and the counting of votes will be taken up on May 23. Punjab will go to polls in a single phase on May 19.